Program. No other feed company has supported the horse industry more than Southern States. 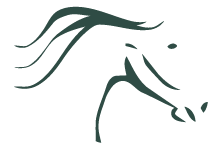 The SHOW Program was developed to provide all non-profit horse associations and clubs their very own sponsorship tool. By submitting proof of purchase seals found on the back or side of Southern States, Legends® and Triple Crown® horse feed bags, organizations can raise thousands of dollars. We at SWFHR have benefited from this program by supporters helping send us their proofs. For those who help with this we need to make note that as of September 22, 2017 Southern States Cooperative® is no longer the manufacturer of Triple Crown® feeds. This means that the redemption SHOW Program no longer accepts Triple Crown® proofs but Southern States® and Legends® proofs are still allowed. Continue to support South West Florida Horse Rescue with your Southern States® and Legends® proofs by sending them to our facility address in whatever container you see fit to send. The facility address is 14811 State Road 31, Punta Gorda, FL 33982. The seals below are an example of what we need.